The fighting ended in 1953. These are the reasons the warring parties didn't sign a treaty. The Koreas Are Weighing a Peace Deal. Here’s What That Might Mean. While the outlines of an accord between North and South Korea have been considered for decades, there are drastic differences this time. Video of the Week: It’s Been 65 Years. 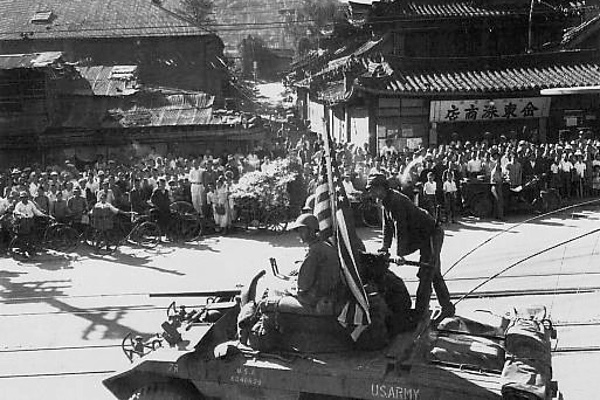 Why Hasn’t the Korean War Ended? After six decades, the Korean War is technically still not over. Here’s what happened – and why it still matters. Eisenhower Ended the Korean War in 1953. Trump Could Learn From His Approach. Trump does not seem up to the Eisenhower standard of statesmanship, alas. It also helped set the tone for Soviet-American rivalry during the Cold War, profoundly shaping the world we live in today, historians said. What America’s top military leaders have learned from a 54-year-old history of the Korean War. The lesson of the Korean War is that for all its Orwellian blather, the Kim family dictatorship has survived this long by being coldly rational, even as it projects wild-eyed belligerence. The president privately discussed the possibility, but never issued a threat, not even through back channels. What visitors learn at an exhibit at the Korean War Memorial Museum in Seoul. Despite the public disclosure of Soviet Central Committee documents in 1998—eighteen years ago—which revealed that the allegations were fraudulent, China and, much more noisily, North Korea still maintain the charges. It marked the real beginning of the Cold War for millions of ordinary people around the world. This Historian Has Written Six Books About Wartime Christmases. Now He Explains Why. He sent more than a dozen petitions to the American government demanding an apology and compensation. An 85-year-old U.S. veteran being held in North Korea spent his war years there in one of the Army’s first Special Forces units. In the East Room of the White House Thursday, President Obama awarded the Medal of Honor posthumously to Korean War veteran Father Emil Kapaun, a priest, a chaplain and a hero.Father Emil Kapaun sacrificed to save his fellow soldiers over and over again. To Mike Dowe, Kapaun's courage was almost other-worldly. "I'm telling you -- the whole atmosphere would change, just when he would walk in," Dowe says. "I've known a lot of priests, but I've never known one like that."